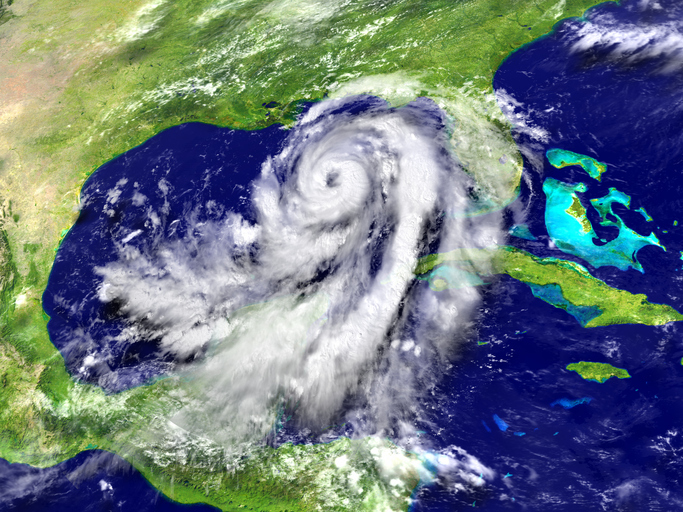 Hurricane season lasts from June 1 through November 30 and comes around every year. As with many things, education is key to knowing how to handle conditions should you find a hurricane headed your way. Knowing the essentials of how to prepare and what to do could be a lifesaver. Hurricanes are more active at this time of the year which is why you’re hearing more about them now. o Hurricane Watch: Hurricane conditions are possible in the area. Watches are issued 48 hours in advance of the anticipated onset of tropical storm force winds. o Hurricane Warning: Hurricane conditions are expected in the area. Warnings are issued 36 hours in advance of tropical storm force winds. o The Eye: A clear, sometimes well-defined center of the storm with calmer conditions. o Eye Wall: Surrounding the eye of the hurricane, it contains some of the most severe weather of the storm with the highest wind speed and largest precipitation. o Rain Bands: Produce severe weather conditions such as heavy rain, wind and tornadoes. o Storm Surge: An often underestimated and deadly result of ocean water swelling as a result of a storm that reaches landfall. The surge has enough power to cause flooding along the coast and areas further inland. During a watch, prepare your home and evacuation plan in case a warning is issued. If you’re on vacation, contact us about our hurricane preparedness plan. During a warning, carefully follow the directions of local officials in your area, and immediately leave if they advise it. In the event of an extreme wind warning/advisory, which means that extreme sustained winds of 115 mph or greater are expected to begin within an hour, immediately take shelter in the interior portion of a well-built structure. Predicting the path of a storm can be challenging at best. The storm’s size and path can directly influence what sort of wind patterns guide, enhance or hinder its growth. Forecasters have computers that take large amounts of data and predict where the storm will go and can usually calculate 2-3 days out fairly accurately. Generally the forecast track or path is given with the average consensus of these models. The National Hurricane Center has the most up-to-date information on hurricane developments, forecasts and weather alerts, discussions analyzing the data and more. This entry was posted in Hurricanes on June 6, 2018 by Myrtle Beach Resort Staff. Every year the City of Myrtle Beach publishes a bicycle safety brochure along with maps designating bike lanes and multipurpose lanes around the city for biking in Myrtle Beach. For the convenience of our guests staying with us at Myrtle Beach Resorts we’re sharing that information with you here. Bicycle rentals in Myrtle Beach are easy to come by as we reported in a recent blog entitled Where to Find Bike Rentals in Myrtle Beach. 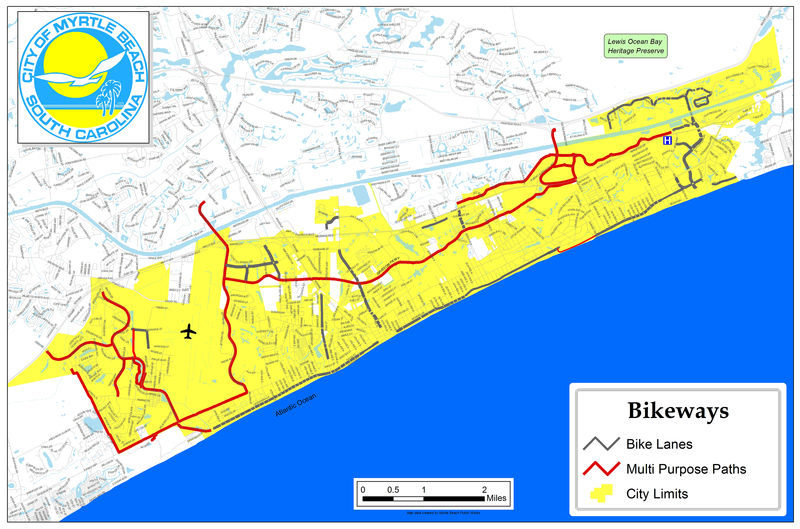 This information is valuable in keeping our cycling visitors and residents safe in and around the Grand Strand area. Thanks to a suggestion from the Bicycle and Pedestrian Safety Committee, the city has created a new mobile device BikeMB App that shows bicycle trails in The Market Common. The app also lets riders log any bicycle accidents they may have had. Click here to view the new app. 1. Bicyclists riding on the roadway must travel in the extreme right lane in the direction of the traffic — not against it! 2. Whenever possible, bicyclists should ride on bike paths or designated bicycle lanes, such as those located on Mr. Joe White Avenue or North Ocean Boulevard. 3. Bicyclists must obey all road signs and traffic signals, and must give turn signals just as motorists do. 4. Bicyclists may not ride on ordinary pedestrian sidewalks. They may ride on special wide, multi-purpose sidewalks designed for a combination of bicycle and pedestrian traffic, such as those running along Grissom Parkway. 5. Bicyclists should not disregard the rights of pedestrians and motorists — respect them just as you want them to respect you. 6. It is illegal to ride through a pedestrian crosswalk. Climb off the bike and walk your bicycle across the road. 7. A bicyclist riding in the dark must have a headlight on the front of his bicycle and a red light on the rear. 8. Never carry additional passengers on a bicycle! 10. Protect your head. Wear a helmet! Accidents happen and you only get one head. Bicycles are allowed on the beach before 10:00 a.m. and after 5:00 p.m. from May 1 through Labor Day. Bicycles are allowed on the boardwalk only between 5:00 a.m. to 10:00 a.m. from May 1 through Labor Day. There’s no afternoon window for bicycles on the boardwalk during the peak summer months. This entry was posted in Bicycle Rentals in Myrtle Beach on May 8, 2018 by Myrtle Beach Resort Staff. Nothing says fun like riding a bicycle! 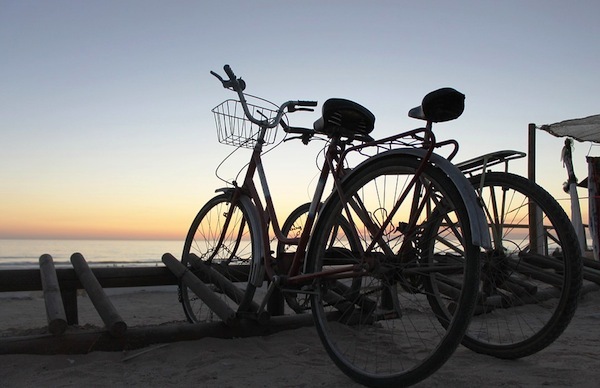 A vacation isn’t complete without at least one ride along the beach on the saddle of a bike. When you’re ready to ride and looking for where to find bicycle rentals in Myrtle Beach check out the following companies that offer a large assortment of rentals in the area. 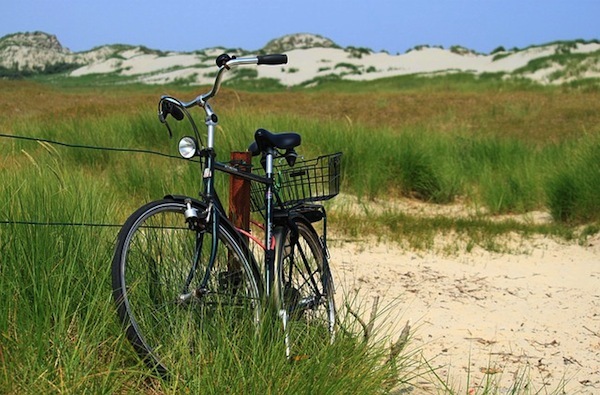 Whether you’re looking for a beach cruiser, easy rider, road bike or mountain bike, you won’t be disappointed by the vast selection the area has to offer. Cruisers and road bikes are available for rent daily and/or weekly. The Oldest Bicycle Shop On The Grand Strand. Adult and Children’s bikes. Fat tire bikes also available. This entry was posted in Bicycle Rentals in Myrtle Beach on April 17, 2018 by Myrtle Beach Resort Staff. If you’re dreaming about taking a spring time golf vacation this year it’s time to call us about our best ever Myrtle Beach spring golf packages. The golfers who are the first to call get their pick of the best golf packages, accommodations and tee times! You’ll be able to kick back and relax once you have your plans already taken care of for your golf trip to Myrtle Beach while your co-worker’s vacations are still only day dreams. Are you traveling with your best golfing buddies? Great! We have plenty of places to wine and dine when you finish up each day on the golf courses. You can take in a concert at the House of Blues or opt instead for live theatre at Legends in Concert or Alabama Theatre. There’s just so much to do here over and above the best golf courses of your life. For instance, there are over 2,000 dining establishments for your enjoyment offering everything from fine to casual dining and plenty of restaurant choices in between the two. For those who will be traveling with their family, you’ll be happy knowing there are plenty of family-friendly things to do in Myrtle Beach for any size family. From 60 miles of surf and sandy beachfront to the indoor and outdoor malls, movies, mini-golf and unlimited entertainment venues in the area, nobody is going to be bored on this vacation. If you’d like more information about any part of the Spring Golf Packages we have available just give us a call at 1-888-826-4018 or drop a note. We’ll be happy to talk with you about your upcoming vacation. This entry was posted in Spring Golf Packages on March 27, 2018 by Myrtle Beach Resort Staff. If you’ve been waiting for an affordable direct flight into Myrtle Beach, SC, the time has come. 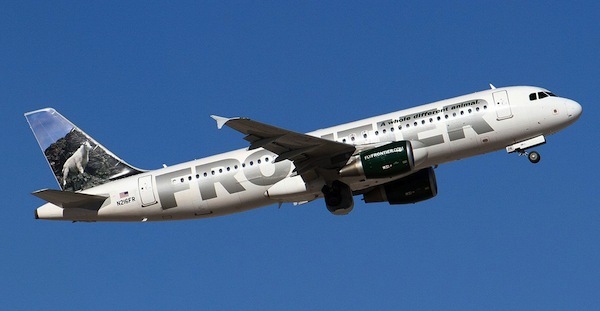 Frontier Airlines has 35 new routes and four new cities to which Myrtle Beach SC is one of. Direct flights to Myrtle Beach will fill up fast so by booking sooner rather than waiting you can save a lot of money on your next vacation. For many this may be the difference between enjoying a vacation to the coastal shores of Myrtle Beach, South Carolina or not. 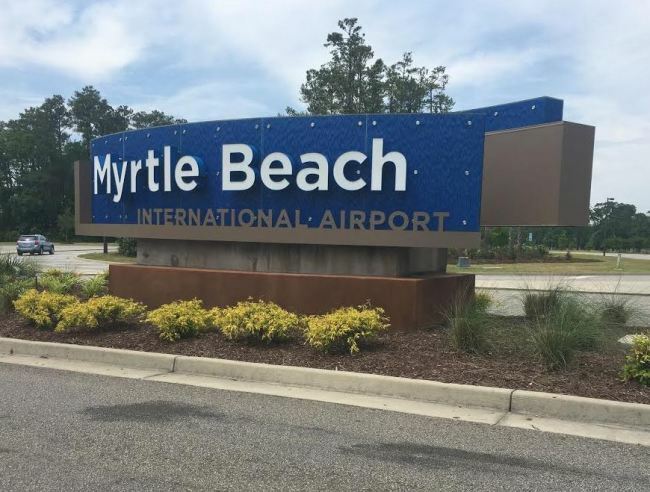 Recently, Denver-based Frontier Airlines announced that it would start operating out of Myrtle Beach International Airport, with some flights starting as low as $39 each way! The first three cities with non-stop flights from Myrtle Beach are Islip, New York; Trenton, New Jersey; and Denver, Colorado. Flights begin in late May 2018, with Islip flight service beginning May 20, Trenton flights beginning on the 21st and Denver on the 23rd. Introductory fares started at $39 each way for flights on select days through Aug. 11, 2018, but they had to be purchased before midnight Feb. 12, 2018. Lovell added that Myrtle Beach Intl. Airport is one of the cheaper airports in the state, but Frontier Airlines Senior Legal Council Valerie Tyler said some fares at the airport were higher than average, making this airport a good choice for the expansion that included Frontier Airlines. Frontier Airlines is the 10th airline operating out of MYR, which now has non-stop service from 45 different markets, Lovell said. This entry was posted in Myrtle Beach Resort on February 22, 2018 by Myrtle Beach Resort Staff. If you’re looking for a luxurious winter vacation rental why not stay in one of our winter vacation rentals. Staying in one of these luxurious rentals is a fabulous way to have what may be the vacation of a lifetime. For the period of time that you’re here, you’ll be right in the middle of paradise. Isn’t this is the year to treat yourself special and take it over the top? Our vacation rentals provide you with more space than other vacation accommodations in the area. Don’t settle for living elbow to elbow in a hotel room. Come enjoy a winter vacation this year in spacious rentals of your choosing and enjoy the complete privacy that they provide. You and your family should be prepared for the best time of your life. A vacation is all about getting away and having a relaxing and fun time. Anyone who has visited will tell you — there’s an abundance of fun to be found here no matter what it is you like to do. In our winter vacation rentals everyone will have a private bedroom. There are fully equipped kitchens for cooking and dining area for eating together as a family. The living room is large enough to sit and watch DVDs or play video games together or maybe just sit and talk, planning the next day’s events or that evening’s outing. You’ll have your choice of views, too! Choose from oceanfront, ocean view or fairway view. You can count on us to provide you with a perfect place to stay. For those hoping to escape the cold and snow of the north, we have many winter vacation rentals that will save you a substantial amount over coming during the in-season months. Monthly winter rates are usually about what summer vacationers pay per week for their accommodations. This entry was posted in Winter vacation rental on January 8, 2018 by Myrtle Beach Resort Staff. If you find yourself looking for a last minute holiday rental over Christmas and New Year’s be sure to look at our winter weekend specials at Myrtle Beach Resort where we’ll give you 15% off any stay of 2 nights. Make your reservations on our website and use the correct coupon code to take advantage of this great deal. This is a simply wonderful time of the year to visit the beach – especially with the mild winter temperatures. If you are short on bedrooms and have unexpected guests arriving check our vacancies out. Or perhaps on a whim you want to just take a holiday vacation. That’s a super idea! Take advantage of our two night specials and save a lot! For those who are still Christmas shopping we have an idea that would help you out when you are buying for that person who has everything. It’s the gift of paid accommodations for two to Myrtle Beach! 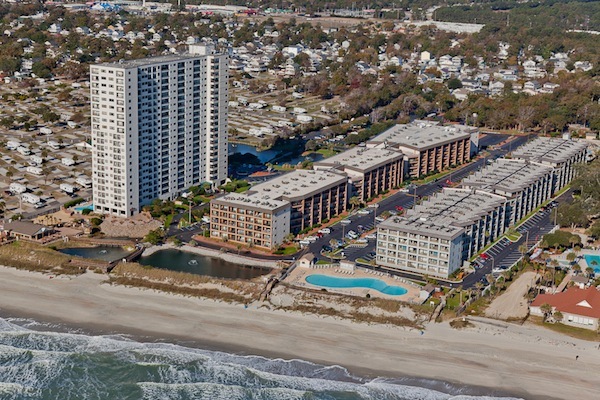 We’re a 33 acre oceanfront playground in Myrtle Beach that is close to all the shopping, entertainment, and dining venues the Grand Strand has to offer. It’s truly a phenomenal gift to give that special someone in your life! 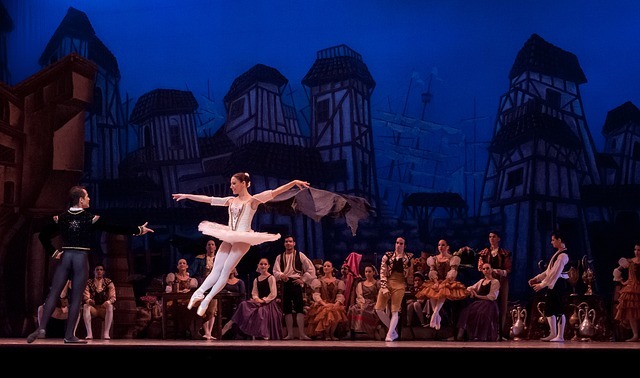 Another great gift idea would be tickets to a show or dinner theatre. Places like Alabama Theatre, Carolina Opry, Palace Theatre, Legends in Concert and others are all holding special Christmas shows at this time of the year. 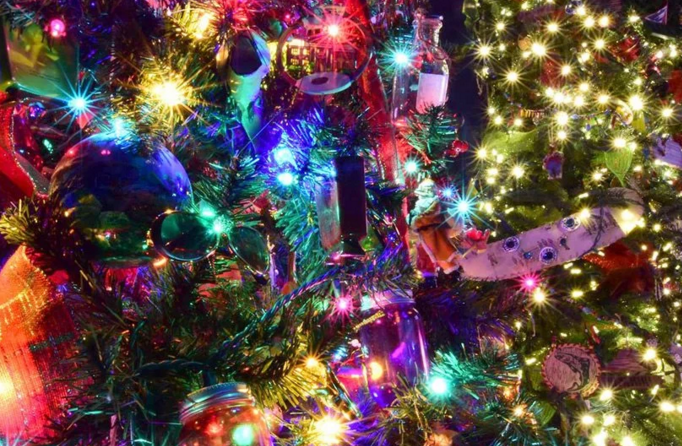 When you’re in town take the time to visit Ripley’s Aquarium to see their Festival of Trees which runs through December 31. Ripley’s Aquarium Festival of Trees features more than 75 beautifully decorated and themed Christmas trees. There’s one tree for each of the fifty states, from a Mardi Gras tree with masks and beads to a Las Vegas-style tree with a feather headdress. The South Carolina tree is over 18 feet tall and features sea shells, magnolias, golf balls plus Clemson and USC representation! 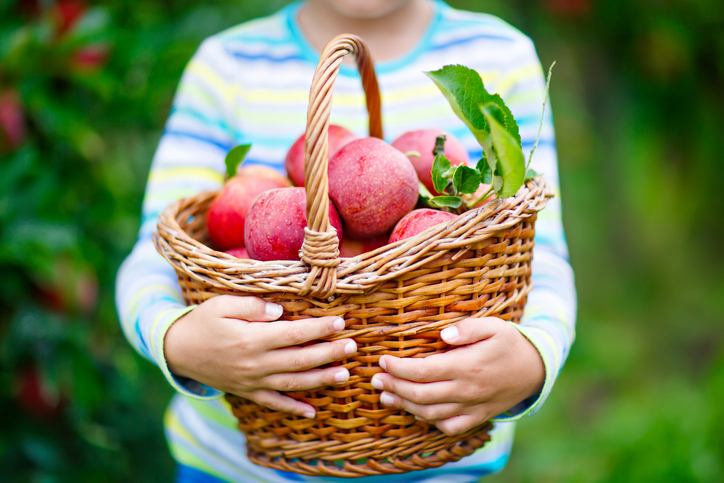 Don’t miss the free scavenger hunt that tests your knowledge about each state’s tree. The price is included with aquarium admission. For more information on the aquarium or the festival call 1-800-734-8888. 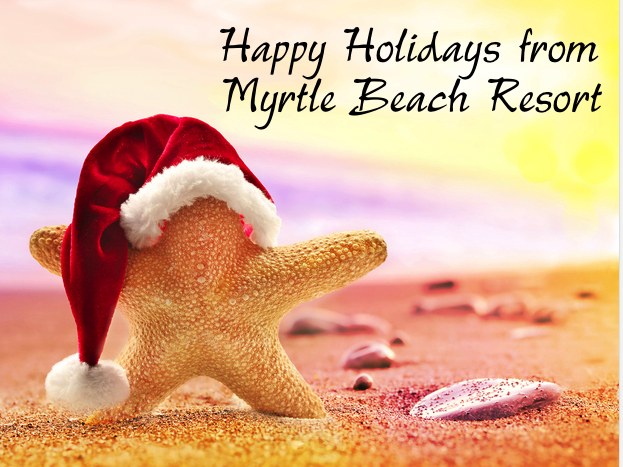 All of us at Myrtle Beach Resorts wish you and yours a very Merry Christmas and a happy and healthy New Year! This entry was posted in Holiday rental home on December 6, 2017 by Myrtle Beach Resort Staff. We’d like to wish everyone a very happy upcoming Thanksgiving holiday! If you’re in need of holiday accommodations for out of town family and friends, point them to our luxurious condo rentals. They’re sure to enjoy these beautifully decorated accommodations suitable for any size family gathering. Whether you eat in or dine out in one of the many Myrtle Beach restaurants for Thanksgiving this year, you’re sure to have a wonderful holiday when you spend it in Myrtle Beach. 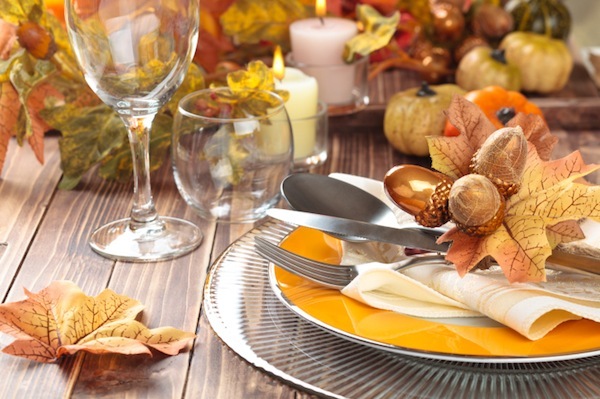 Our holiday vacation rentals are close to plenty of area restaurants that will be serving Thanksgiving dinner. For those that don’t wish to cook and would rather enjoy the convenience of taking the family out, the following Myrtle Beach restaurants are open on Thanksgiving Day. Many of these restaurants also offer dinner to-go. 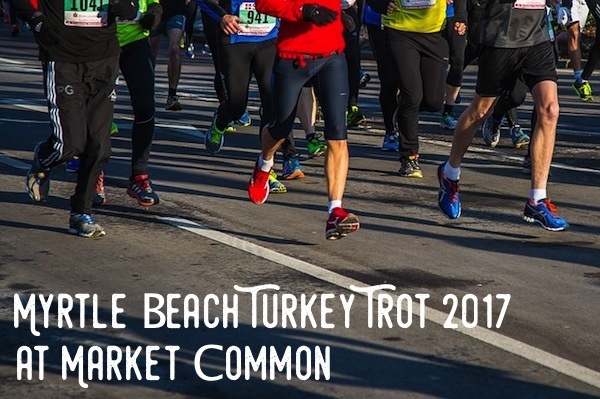 If you want to work up an appetite before hand, come out and join us on this year’s Myrtle Beach Turkey Trot. The trot starts at 8 a.m. and finishes at the beautiful Valor Park at The Market Common. Enjoy our 8K and 5K races throughout the beautiful Market Common community and some of the final pieces of the Myrtle Beach Air Force Base community. Open to all! On-line registration will be open until Noon on Wednesday, November 22. Packet pickup will be Wednesday, November 23 from 4 pm – 7 pm at Black Dog Running Company, 1600 Farrow Parkway Unit B-3, Myrtle Beach, SC 29577; 843-839-1174. Those of us at Myrtle Beach Resort want to wish everyone a very Happy Thanksgiving! This entry was posted in Myrtle Beach restaurants on November 7, 2017 by Myrtle Beach Resort Staff. 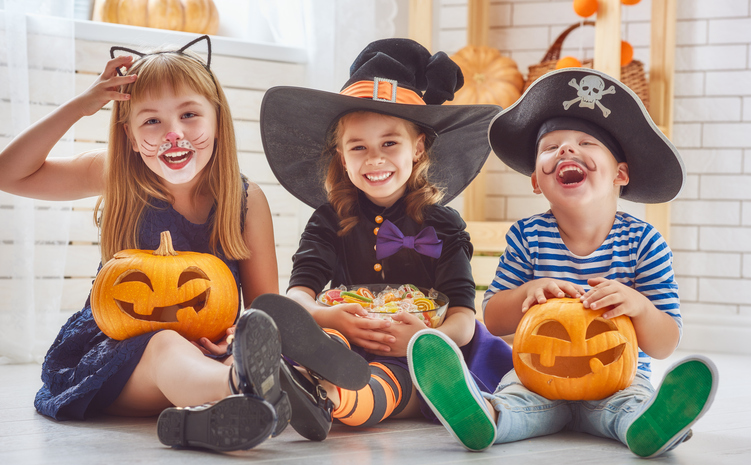 If you find yourself in Myrtle Beach over the Halloween holiday this year, there are lots of things taking place on behalf of the spooky holiday that you should check out. 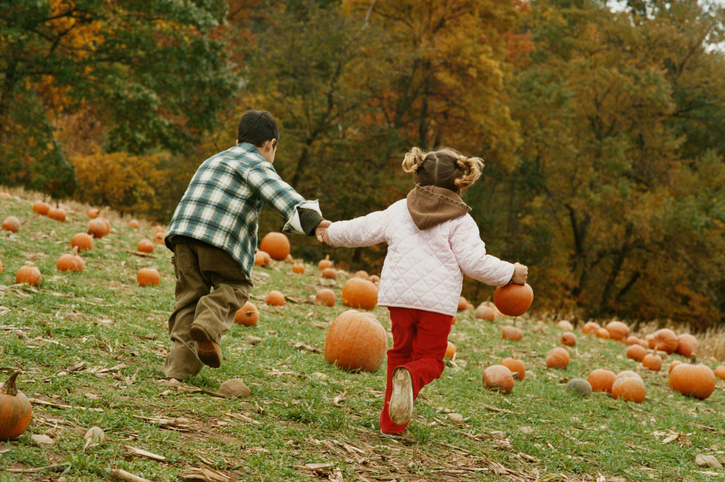 You’ll have many more fun-filled options than going door-to-door trick or treating. Local community Halloween events are just safer and more entertaining than anything else you might imagine. 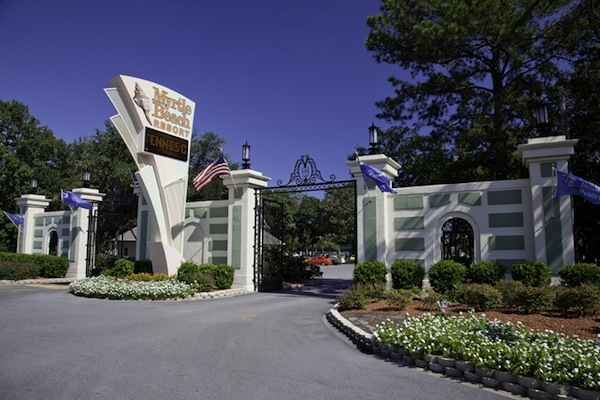 And when you’re staying at Myrtle Beach Resort you’ll be in close proximity to everything that’s going on! Broadway at the Beach will host trick-or-treating around the complex in a fun and safe environment. Bring your kiddos in costumes around for special treats at participating stores and shops. Trick-or-treating will be held on Tuesday, October 31 from 4:30 – 6:30 p.m. There will also be Halloween fireworks at 8 p.m.
October 24, 2017 from 6 p.m. to 7:30 p.m.
A night of fun at the annual Great Pumpkin Hunt at Socastee Rec Park! Come look for small, plastic pumpkins filled with prizes! This event is for children ages 3-12. Immediately following the hunt, we will be showing the movie, “It’s the Great Pumpkin Charlie Brown.” Event starts at 6:00 p.m. Hunt begins promptly at 6:15 p.m. Fee: $5.00 per child! 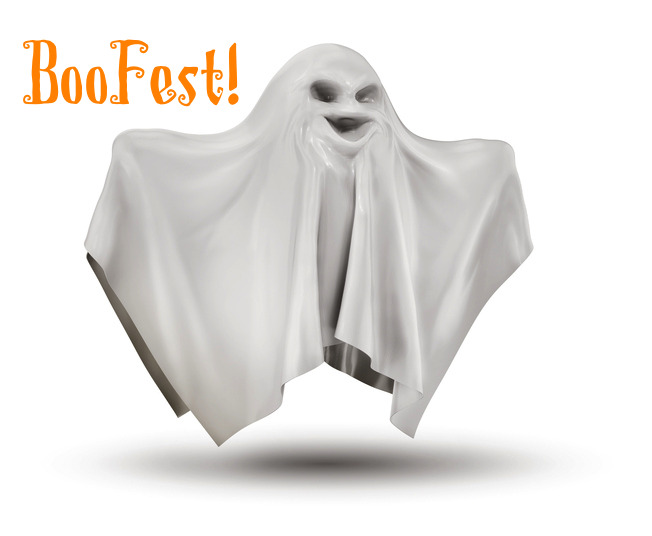 The $5 fee includes: pumpkin hunt, prizes & candy, hayride, face painting, movie, and more! For more info call (843) 915-6339. Friday Oct 27 – Saturday, Oct 28 from 9:00 a.m. – 5:00 p.m.
Come check out hundreds of great Craft Vendors, Friday Fish Fry, Pumpkin Patch, Bake Sale and Kids activities! Friday, Oct. 27 – Saturday, Oct. 28 from 6 p.m. to 9 p.m.
Join us the night before Halloween for the Atalaya Fall Festival and Haunted Castle. 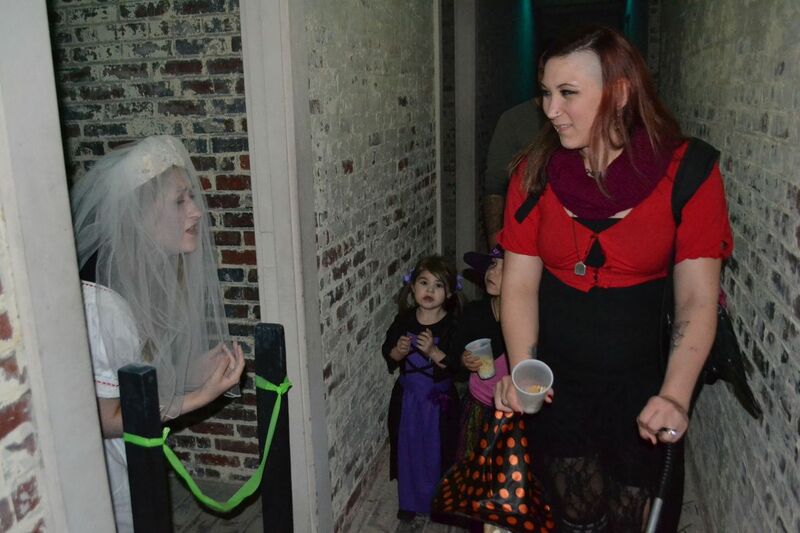 The Atalaya castle will be the setting for an evening of frightfully fun family entertainment! Enjoy 2 separate haunted house attractions: a not-so-scary maze of creepy rooms and a Haunted Castle for the brave at heart. For the younger children, there will be carnival games, children’s crafts, spooky cartoons on the big screen, s’mores, a bonfire, and more! Event admission is $10 for adults, $7 for children 6-15. Children 5 and under are free, but parents, please note: some of the special effects used in the haunted houses may be too intense for younger children. Park Admission is free. Free Park Admission during this event. This event goes on, rain or shine. $10 for adults, $7 for children 6-15. Children 5 and under are free. Saturday, October 28 from12:00 – 4:00 p.m.
Tuesday, October 31 from 5:00 – 8:00 p.m. The very popular Haunted Carriage Rides will bewitch passengers this Halloween on Tuesday, October 31st. 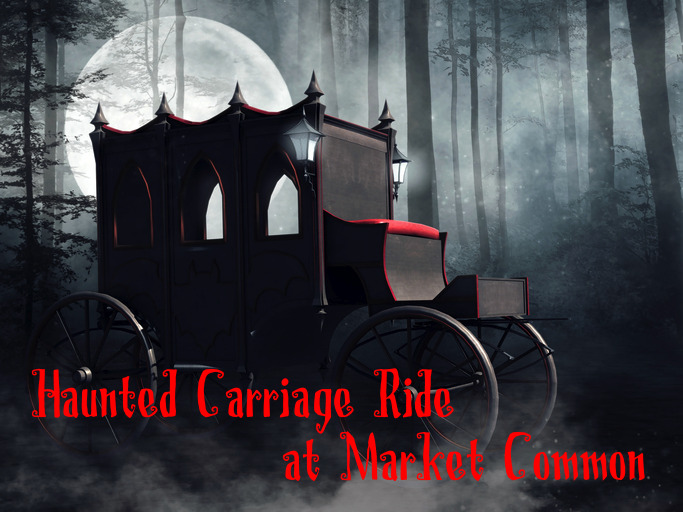 The headless coachman returns to offer free rides around the streets of The Market Common that will be filled with trick-or-treaters. Rides will be available from 5PM to 8PM. The trick-or-treating winds up at 7 PM. This entry was posted in Halloween in Myrtle Beach on October 23, 2017 by Myrtle Beach Resort Staff. If you’ve chosen this time to enjoy a vacation in Myrtle Beach you probably want to know where to go to get the best view of the solar eclipse on Monday, August 21. Below are some places where you can do just that and it doesn’t require a long drive from our Myrtle Beach Resort accommodations. Brookgreen Gardens is celebrating the Solar Eclipse with a special ticketed event on Monday, August 21. On eclipse day, the gardens will close to the general public, but gates will open for ticket-holders at 10 a.m., with the festival activities beginning at noon. Admission is limited for this special eclipse experience and tickets are available online at www.brookgreen.org. Featuring music by Oracle Blue, free eclipse glasses, live streaming of NASA’s coverage of the eclipse as it crosses the USA, and live streaming coverage of the aviary in the Lowcountry Zoo. 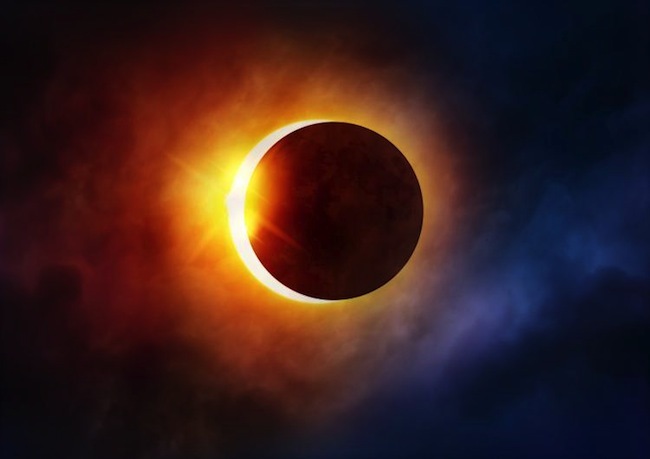 Brookgreen’s Creative Education Department will host special eclipse-related crafts, and information and activities for our youngsters. Fee: non-members: $20 for adults, $15 children up to 12 years. Myrtle Beach State Park will be holding an Eclipse Party on August 21 from 11 a.m. to 6 p.m. Bring a dish to share and something to grill. This event is family-friendly, open to the public and free to attend (park admission will be required). Donations are gladly accepted to cover the cost of the shelter and glasses, as well as help fund future events. Eclipse glasses will be available on a first come first serve basis. Park admission (free for members). Join us for Eclipse Day where the moon will cover almost the entire sun for 2 minutes, 40 seconds starting at 2:46 p.m. Partial view begins at 1:15 p.m. This event is free and open to the public. Bring your own Eclipse Glasses. We have our first Solar Eclipse on August 21st on the Marshwalk!! Come down to Creek Ratz and enjoy the view! Glasses are provided so you can watch the whole event! It starts at 1 p.m. and ends around 5 p.m. This entry was posted in local events on August 15, 2017 by Myrtle Beach Resort Staff.